Matt Duchene - the Preds and Avalanche could be looking to put together a three way trade that involves Matt Duchene. The Islanders may not be out of the race, but they've fallen back. The Hurricanes, Senators and Canadiens can be considered darkhorses. GM Joe Sakic is now saying he wouldn't mind Duchene staying with the Avs this upcoming season. I don't think that will go over well with Duchene, who has made it clear that he's ready to move on. Joe Thornton - Though the Predators are keenly interested in Matt Duchene, Thornton could be an option for them in free agency (if he gets that far). Though it doesn't make a ton of sense, the Maple Leafs have been linked to Thornton as well. The Bruins(! ), Rangers and Stars are other rumoured free agency landing spots. Patrick Marleau - He might like to stay with any of the California teams, but he's also been linked to the Rangers, Canadiens, Blues and Maple Leafs. 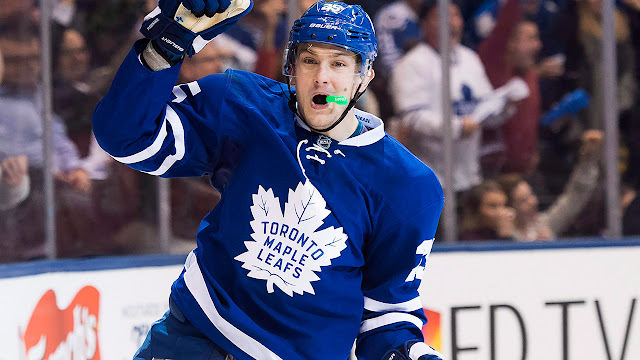 James van Riemsdyk - The Leafs struck out on a deal for Travis Hamonic than is rumoured to have included van Riemsdyk and a first round pick in 2018. JvR has been in rumours for most of this season, and is regarded as the piece Toronto will likely use to improve their blueline.